As we've been packing the past couple of days, I've been reminiscing over the 9 years we've been in this house. So many memories of when we were commuting to DC & Arlington for work, to bringing home both girls from the hospital. Oh, and how can we forget the numerous parties we hosted when we first moved in, to hosting our friends for overnighters and having epic cooking battles. Not to mention all of the neighborhood parties we've had and becoming close friends with our neighbors. There's so much to look back on & reflect, and to really treasure the times we've had in this home & community. While I am sad we are leaving this home, I am so very excited about the next home we're moving into. What I'm most excited about is making it our own. You know me, I love decorating and the thought of going into a house and adding our own touches really gets me excited and happy. For others, you might need a little bit of inspiration to get those ideas going, in which Havenly, an online interior design service, is a great resource to check out! 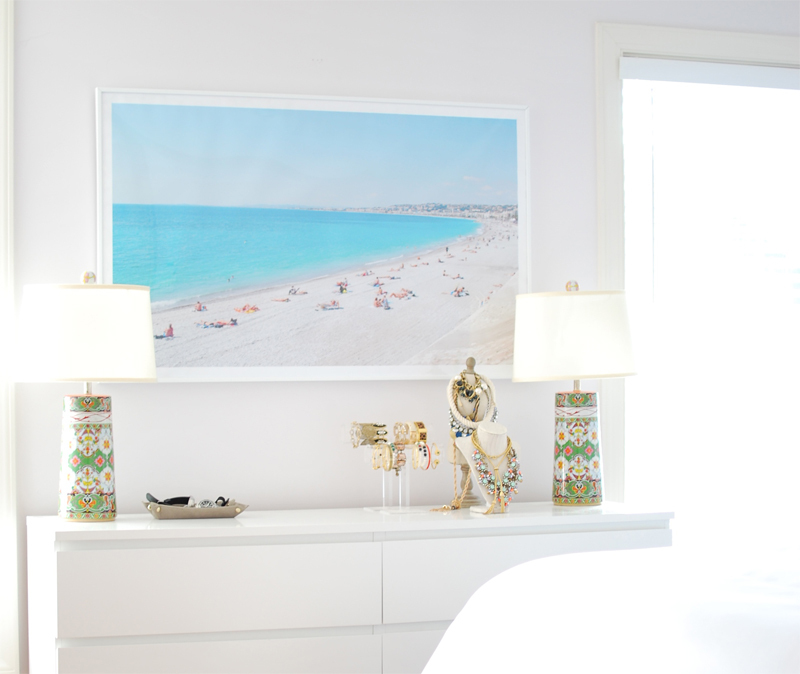 One piece that I have always loved in our current home (and I'm so excited to see it in our new one) is this photograph that I took on our trip to Nice, France years ago. I love how it's one of the first things I see when I wake up (so calming), it reminds me of a wonderful time in our lives where we got to experience the South of France with one another. 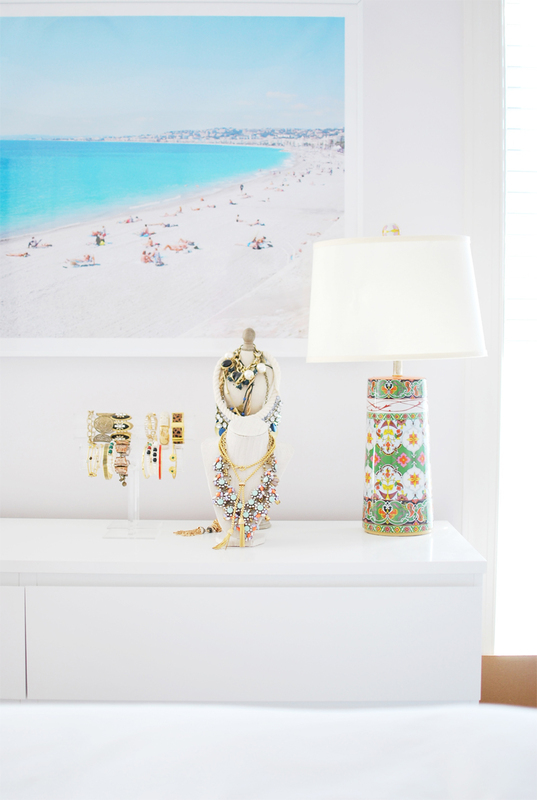 It's an affordable way to decorate your walls versus buying artwork. For this particular photo, I had RitzPix print it at an enlarged size and used a poster framing company to supply the frame since it was much cheaper that way. It's actually amazing to me that I haven't printed more photos from our travels and had them framed like I've done with this photo after seeing how impactful this one turned out. I definitely see myself printing more photos that we've taken and framing them around the new house, because it really brings back wonderful memories of where we've been and what we've done. 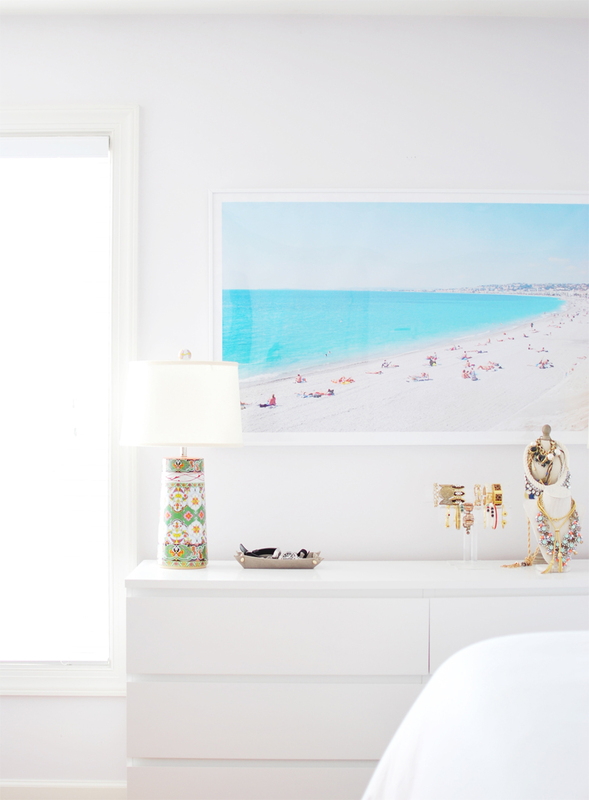 Cannot wait to show you guys how we make the next house our own, starting with hanging this beachy print up! It’s awesome. This is looking beautiful. Thanks for sharing this post. What a beautiful photo, so calming. I also love decorating my house with family photos.